Established in the year 1984, Hitesh Steel is an ISO 9001:2015 certified organization engaged in importing, exporting, and supplying of a wide range of Industrial Pipes, Tubes, Fittings, Flanges, Sheets and Fasteners. The entire range is procured from reliable and trusted vendors, which ensure that the product we offer is manufactured in compliance with the set industry standards. Further, these precision engineered products have been approved by prestigious ASTM & IBR standards that ensure long working life. 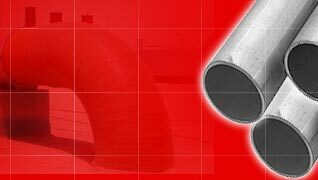 Our range finds extensive application in general piping, construction, and other engineering related industries. Our well established supplying channel enables us in catering our ordered consignment within the stipulated time frame in various parts of the globe. Moreover, we continually review our supplying process and ensure systematic procurement process to enhance our performance. We also facilitate our clients and help them conduct third party inspection on our products. This inspection is done by recognized institutes such as Modvat Benefit, wherein stringent checks are performed on all the products that consistently create value for our customers in terms of efficient products. We are guided by our promoter Mr. Prakash Bhansali, who holds a rich experience in engineering field. His in-depth knowledge and business acumen have helped us to achieve excellent position in the global arena. 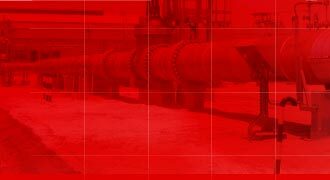 We are a well-known importer, exporter, and supplier of a wide range of Pipes, Tubes, Fittings, Flanges, Sheets and Fasteners. 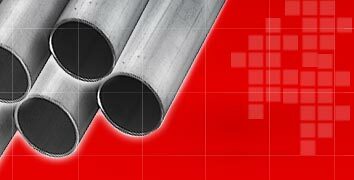 The extensive range available with us encompasses Pipes, Tubes, Forged Fittings, Olets, Buttweld Fittings, Flanges, Sheets, Plates, and Coils. Apart from this, we also offer Bars & Hex Bars, Stripes & Flats, and Fasteners. We procure our range from reliable vendors who use ferrous & non ferrous metals, and superior grade of steel such as 304, 304L, 309, 310, 310S, 316, 316L, 316 TI, 321, 410, 430, and 904L for fabrication. Further, our industrial supplies are also available in inconel, monel, hastelloy, titanium, duplex stainless steel, super duplex stainless steel, cupronickel, brass and copper. Our industrial supplies are available in various shapes like square, round, and rectangular and can also be customized as per the clientâs specific requirements. Being a well-known exporter, importer, and supplier of quality range of Pipes, Tubes, Fittings, Flanges, Sheets and Fasteners, we pay utmost attention in procuring these products from authentic vendors. With their rich industry experience, our vendors serve us with the required quality and quantity of Industrial Supplies whenever needed. Before procuring our range, we ensure to test the products at manufacturers' premises and recheck these in our own quality management department. This helps to ensure that the range of Industrial supplies offered by us stands high on quality and performance. Further, our constant evaluation of vendors ensures that we are on the right track of getting optimum quality products to maintain strong business relation with our clients. All these features have enabled us to win the trust and faith of our valued clients based at various parts of the globe. Our organization considers all the employees, whether appointed at senior level or junior, as valuable assets. They enable us to serve our clients in the best possible manner and enrich our business activities with their diligent efforts. It is due to their dedication and hard work that we have been able to offer our clients quality range of Industrial Supplies as per their exact specifications. All our employees have wide experience in respective domain of operation and stay abreast of the technological developments that occur in the industry. 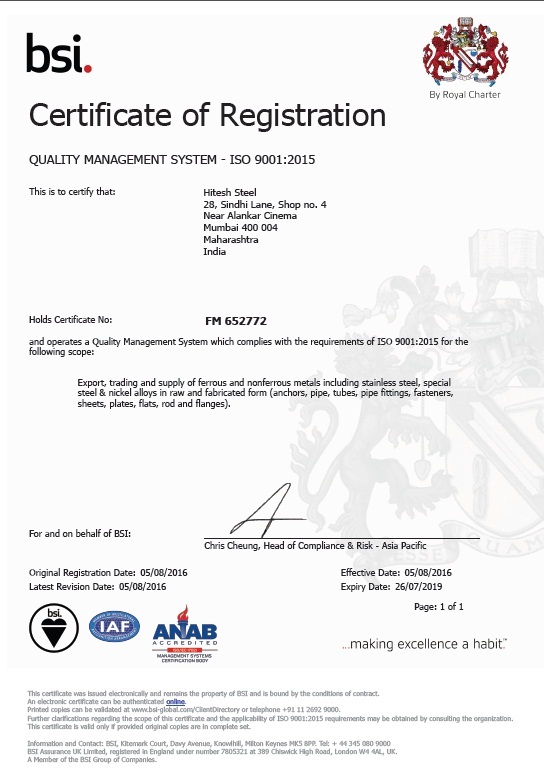 Being an ISO 9001:2000 certified organization, quality is an integral part of our working methodology. Owing to our quality centric approach, we ensure that only international quality range of Industrial Supplies is procured from renowned vendors. Further, we have also employed quality controllers, who are in charge to undertake stringent quality control measures. Each product is thoroughly tested by them at manufacturerâs premises before procurement. Further, these are again rechecked at our own premises, prior to storage. Thus, quality is a hallmark of all our products as these are at par with international standards and are approved by agencies in India and abroad. 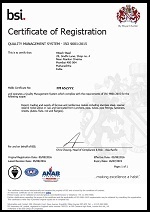 This has enabled us to earn BS, EN, and ISO 9001:2000 quality standards.